Fire service boss Steve Gourlay. Dealing with false alarms in the Borders cost the Scottish Fire and Rescue Service an estimated £1.5m in the year to the end of March. The brigade responded to no fewer than 791 such calls in the region over those 12 months, a report reveals. Over that period, Borders firefighters attended 109 house fires, 107 road traffic collisions and 100 fires started deliberately, mostly involving scrubland and litter – fewer than half the number of false callouts they had to contend with. Although the false alarm total represents a reduction on the 905 incidents recorded the year before, Scottish Borders councillors have been told that they “continue to be an unacceptable drain on public service expenditure”. 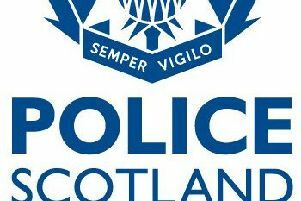 The council’s police, fire and rescue and safer communities board, meeting at Newtown, also heard that of the 791 false alarm callouts, the vast majority – 566 or 72% of them – were down to equipment failure, with the highest number of those, 104, being recorded in Galashiels and the lowest, 25, in Kelso. Although 190 of the other unnecessary callouts were said to be false alarms with good intent, the remaining 35 were deemed to be malicious. In his report to the board, Steve Gourlay, the fire brigade’s group manager for the Borders, says it is a priority for the service to reduce the number of unwanted fire alarm signals triggered by faulty alarm systems. He said: “Using the estimated cost of £1,970 per incident, the cost to the service in the Borders is in excess of £1.5m. It is clear that this continues to be an unacceptable drain on public service resources. “In the UK, estimated losses of £1bn a year have been attributed to false alarms, largely due to the disruption and loss of productivity to businesses. Mr Gourlay added that the board that a policy aimed at reducing the number of false callouts had been introduced in the Borders in December 2014, involving firefighters and safety enforcement officers based in Galashiels offering advice to those concerned.